Traditionally, the thinking is that dividend growth investing is a relatively safe endeavor as we proudly invest, most of the time, in mature companies that have a long track record of rising revenues and rising dividends. But even the safest investments can come with risks one cannot find on a balance sheet nor income report. In recent weeks the dividend blogging community came alive about discussing the future prospects of American Realty Capital Properties, Inc. (ARCP). While on paper the company offers a stable of coveted real estate income properties and generous yield, one could not foresee an accounting irregularity scandal that would arise and later punish the stock and shareholders with a 30% decline. But what about more tragic occurrences? An occurrence when people get sick, the environment gets polluted or worse, someone actually dies. These instances beg the question, is it wise to buy stock of a company after it experiences a catastrophic event? Dozens of papers and research have been published detailing catastrophe stock market theories which show how catastrophic events affect stock prices. This question is similar to an article I wrote not long ago which asked, “Do You Sell After A Dividend Cut?” Let’s review some events of recent time and take a look back and see if holding a stock or buying a stock after a catastrophic event proved to be a wise decision. In recent years, no other catastrophe grabbed as much of the headlines as the Deepwater Horizon oil spill and BP p.l.c. (BP). Prior to April 20, 2010, BP was considered one of the larger and more stable energy and energy services company on the planet. It’s stock was widely held among many pensions, banks and other large financial institutions. Yet, on that fateful day a tragedy occurred resulting in the loss of eleven lives and later the pollution of the Gulf of Mexico and marine life and wetlands that border the spill site. Of course, as a direct result of this disaster BP’s stock plummeted from about $60 a share to a low of $27. In the months that followed, BP a high yielding dividend paying stalwart eliminated its dividend. Other dividend paying companies, Halliburton Company (HAL) and Transocean Ltd. (RIG), involved in the BP operation in the Gulf of Mexico saw their stock prices plummet in the aftermath as well. From a contrarian perspective these are opportune times to invest in companies that are suffering from a major public relations standpoint. In the weeks and months that followed the images of all three companies, with BP taking most of the brunt, suffered tremendously. Of course both HAL and RIG have since recovered quite a bit since the disaster as did BP. Was it wise to buy after this catastrophic event? Looking back, the answer was a resounding yes. Another example of taking a contrarian position in a stock that just suffered a catastrophic event takes us back to 1993, when 732 people were infected with the E. Coli bacteria from eating undercooked beef at Jack in the Box Inc. (JACK) restaurants. This event not only affected many people it also claimed the lives of four children and left dozens with permanent injury including kidney and brain damage. Like the Deepwater Horizon oil spill, JACK’s (at the time the symbol was FM) stock price plummeted providing an opportunity to buy at a great discount when so many were selling. Like the BP example above, JACK was not alone in suffering as a result of these deaths and sicknesses. The contaminated meat source, at the time was from Vons (now owned by Safeway Inc. (SWY) which was just bought by Albertsons this year). As a result of this mishap Jack in the Box dropped Vons Cos. as a meat supplier which eventually impacted their overall business. Clearly, when major events impact one company a chain of causality occurs that often brings down many other businesses as well. Of course, since the disaster occurred about twenty years ago both JACK and former meat supplier Vons appreciated dramatically over the years. Again, it clearly was wise to buy stock in JACK after these unfortunate deaths and sicknesses occurred. Similarly, in July 2002, ConAgra Foods, Inc. (CAG) had to recall 18.6 million pounds of ground beef from its subsidiary ConAgra Beef Company because of an E. Coli outbreak. This was one of the largest meat recalls in U.S. history and was responsible for sickening more than 45 people in 23 states with one death. Charting CAG to the summer of 2002 shows a stock price that went from around $28 a share to a low of about $21 in a matter of days. This represents a huge 25% decrease in stock price. Again, had you bought stock after these new lows were reached and simply held on to your CAG shares with reinvested dividends you would have experienced both capital appreciation as well as gain extra dividend income. Just this year, a story that came out of China rocked the stocks of McDonald’s Corp. (MCD) and Yum! Brands, Inc. (YUM) after an American owned meat company operating there sold expired and tainted meat to the restaurant operators. No sicknesses or deaths resulted from this scandal, yet both companies had to report a “significant negative impact” on their quarterly securities filings that ultimately hit sales figures badly. There are literally dozens of health related, environmental and scandal related occurrences that have affected a company’s stock price negatively. And in practically every case, a rebound eventually occurs. Of course, this is not a blanket result to every catastrophe or scandal that rocks a corporate structure. In recent times, we have seen some of the largest accounting frauds in U.S. history take down WorldCom and Enron. Buying stock after news of those scandals broke would have been disastrous. As always, when determining an entry point for a stock that has recently suffered a public relations gaffe one should always look upon these opportunities on a case by case basis. The next time a company you are considering or are already invested in suffers form a catastrophic event, whether death related, environmental or simply an account irregularity, you must ask yourself if it would be an opportune time to take action and invest at a time when everyone else is selling. Would you buy stock in a company after it suffered a catastrophic event? Please let me know below? Very well-written, well-thought out article, DH. I would definitely jump on the opportunity at buying strong, blue chip stocks while they are in a low point. When people get scared and jump ship, that’s fine, but it really doesn’t make sense in most cases. The S/H’s already spent the money to invest in the company – you better stick through the tough times if you want to see the reward at the end. While I agree that sometimes it just doesn’t work out, I do think that “catastrophic buying” can be one of the best ways to get a capital gain boost in your portfolio, and addition of dividends down the road. Thank for the compliment regarding this recent article. It definitely brings up an interesting point of investing at times when others are selling due to a catastrophic event. While, in general, companies and stocks do bounce back, it always isn’t the case and sometimes as shareholders we hang on to those losing shares far too long. But, in cases when a company can bounce back the results are almost always spectacular. Thank you for stopping by and commenting. If it forces the company to go bankrupt then I’d sell. Otherwise I might buy more. It depends. Similar to the article I wrote a while back asking the question of “Do you sell after a dividend cut?,” the answer really is, as you said, “it depends.” I always highlight the point that each company and situation is different and must be looked upon on a case by case basis. As mentioned in the article, the fraud and accounting challenges Worldcom and Enron experienced proved to be too much for the company and stock to handle which ultimately led to their demise. I’m sure some saw those stocks dropping like a rock and decided to average down in the hopes for a return to prosperity. I appreciate your comment. There have been many disasters as you have mentioned above. A couple others that have been fairly significant are the 1982 cyanide laced capsules from JNJ, the Exxon Valdez, and most recently and equally tragic the GM ignition switch recalls that resulted in several deaths. Ironically most companies bounce back when products result in the loss of life. It is the accounting fraud and falsified income statements that usually wipe out companies. I must admit that I have used the weakness in GM shares in recent months to accumulate shares. The stock peaked around $40 late last year and has been hovering in the $30 range. Time will tell if it pays off. Your other examples simply highlight how many solid blue chip companies can rebound from seemingly insurmountable tragedies. Can you imagine buying more JNJ or Exxon stock when they were being crucified in the headlines daily about thirty years ago? You’d be a pretty happy camper today. The sad reality is that there are hundreds of these catastrophes and mini-catastrophes that have occurred in recent decades. Another one was the Union Carbide Bhopal disaster in India still considered the world’s worst industrial disaster. If you had been an investor in Union Carbide at the time of this disaster you would have experienced tremendous negative impacts. However, as time rolled on, Union Carbide spun off PX and was eventually sold to DOW. From disaster a long term appreciation can be achieved. Your comment also highlights an interesting point showcasing the fact that corporate catastrophes that result in a loss of life tend to do much better than ones that entail fraud. As always I appreciate your comment. Very interesting post and good work on the research. I often think about acting on events like this but most of the times I chicken out. I did act on one a couple of years ago when the telecom company TeliaSonera got caught paying bribes and some shady stuff in some former soviet country (Kazachstan or Uzbechistan or whatever). The stock increased about 20-25% since that while paying a 6-7% yield per year also. Happy you have enjoyed this post. In general, common thought would be to stay clear of any company that experiences some sort of disaster, catastrophe, death or fraud. But, as you have pointed out in your example even fraudulent companies can survive an initial collapse in share price and confidence and rebound very nicely over time. Risky business, yes, but in many cases it does pay off. Thank you for sharing your experience and commenting. OW Bunker reported irregularities at subsidary a few days ago (that was the public story at least), and now it’s dead. I think the smart investor should walk away if there’s fraud involved. Thanks for sharing this recent news about OW Bunker. 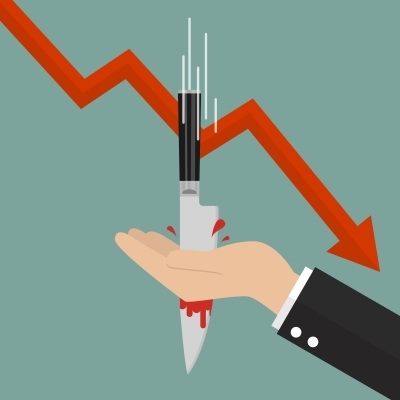 It seems that from the many cases of a company experiencing a lack of confidence from shareholders because of death or fraud, it seems that fraud takes down a company more often than death. I would agree with your assessment to stay away from this company. Thank you for stopping by and commenting. You could also through Target into the mix as their stores were barren the January after their payment systems were hacked. They say time heals all wounds, and the proof for TGT will be in this holiday season’s sales numbers. The answer, for me, depends on the company. MCD will likely rebound from an “event” due to their size and resources. Other big blue chips would likely do the same. One of my best buys of 2013 was picking up LO the day some analyst came out with a doom and gloom article and the stock fell over five percent as a result. I took the gamble and am now up over 20 percent. That’s not a catastrophic event, but it still took some courage to buy when everyone else was unloading. I love that you included BP. They hit rock bottom after the incident yet today their dividend appears to be healthy and just received a substantial bump, even in the face of suppressed oil prices. Still, it would have been tough to hold through the no-dividend period. All the ARCP holders may be tested in the coming weeks/months if more negative news comes out and the dividend takes a hit. Right now the dividend and my stretched risk tolerance are the only reason I’m holding. I think you hit it on the head when you mentioned, “time heals all wounds.” Not only does time heal all wounds but people tend to have short memory spans as well. And, like with TGT all it will take is some serious door buster deal and sales to bring crowds back in. Credit card security? Who cares, I’m getting a great deal on a TV. It seems that if a company can weather the immediate storm, they inevitably survive and then thrive over the long term. Thanks for sharing your personal story about picking up LO and with regard to BP it seems that even if you bought at the low and held through a “no dividend period” you would have still made some insane capital appreciation. As I commented elsewhere, there are literally dozens and dozens of examples we can sift through where companies faltered tremendously only to eventually pick up steam and prosper in the years that follow their “catastrophe.” It will be curious to see what the ARCP dividend bloggers will be doing in the coming weeks. I know a few have already sold their positions. Thanks for commenting. It definitely takes an iron stomach to walk into one of these catastrophic events. Especially for the smaller DIY investor, in general we just don’t have the capital to put at risk like the large hedge funds/activist investors. The reward for doing so though can be really great if you can stomach the massive volatility. One company that I purchased after the issues was BAC and it’s been great for me and a further return to a more normalized dividend will be that much better. JC recently posted…Can United Technologies Corporation Move Your Portfolio? Thanks for sharing your BAC story with us. While it’s true that you do need an iron stomach to weather these catastrophic events, it seems that more often than not, you come out on the other side pretty well. Imagine five years ago when SBUX was closing hundreds of stores and the market was in free fall? You might have thought that this was the end of the coffee giant. The stock could have been bought for $9 a share back then. Instead they turned things around, closed the under performing stores and today you have a stock that’s almost $80 a share. That was a company going through a fiscal catastrophe. Imagine buying Exxon after the Valdez oil spill or BP too. While smaller investors need to be more careful there are still many opportunities to buy into great brand name blue chips at steal prices after such events occur. As always I appreciate your comment. I don’t have a problem buying a business after a catastrophic event. There is a difference between a genuine event that destroys the fundamentals of the business vs an issue that becomes a “catastrophe”. People getting hurt/dying is never good, but if a business is able to fix what caused it and survive any lawsuits, then the real question how does this fundamentally affect the business? Due to my more cautious nature, I probably would be slow to buy until some clarity about the situation develops. Take BP for example, I missed some price appreciation but still made it in at a good entry point. I haven’t decided about ARCP yet, of all my positions it gave me the most concern as I have monitored over the last year. The bottom line with any type of catastrophic event a company faces is its ability to weather the storm. If, as you said, the company can survive the lawsuits, immediately fix or mitigate the offending occurrence and has the coffers to fund the endeavor, then yes, it would probably be wise to purchase these otherwise quality shares at discounted prices. I still am curious to see how the rest of the dividend bloggers will treat their ARCP shares going forward. I know a few have already sold out of their positions while most are simply holding. I have read a couple that actually added and averaged down their positions. As always, time will tell, and if ARCP recovers nicely in the next six months or year, I think many will look back and think, why didn’t I buy more at the time. Just like when many other companies faced their own fiscal, environmental or death catastrophes and eventually rebounded. Thank you for stopping by and commenting. While I don’t necessarily follow this advice (yet), it would be nice to have a bunch of cash on hand in order to buy into stocks that take huge hits but otherwise remain profitable. The problem with this strategy for me now is that I don’t like to hold cash…after paying bills I try to get it invested as soon as possible. Maybe in the future, when I start making more, I’ll be able to afford to hold more as cash. And, as demonstrated by the recent drop in stocks (and subsequent recovery), the market on a short-term basis is very fickle. Many stocks dropped recently for very little reason other than the market as a whole dropping. While this couldn’t be considered a whole market catastrophe, it was one of the rare opportunities in the last couple years to pick up some stocks at a significant discount. As far as selling (or buying) after a dividend cut, I used to own GE in a DRIP account. I ended up selling GE after they cut their dividends in 2008 and reinvested that money very successfully in other stocks. Sure, I’d have done okay if I would have stuck with GE, but I saw options and took the jump. I’ve subsequently bought back into GE as I feel they’ve gotten leaner and less reliant on their financial arm. Scott recently posted…The Candy Store Is Open! I guess with any major event that occurs one never really knows when a particular stock will hit bottom. In the case of BP the stock was trading around $60 right before the spill occurred and after falling to $50 or $40 even you might have thought it was a bargain. It becomes almost impossible to determine the absolute bottom for any stock in that regard. BP could have fallen to $10 a share as the time that immediately follows a catastrophic event is usually met with irrational selling. I happen to agree with your assessment that BP is still undervalued relative to its peers and it does still carry that cloud of litigation over its head even though clearer skies are up ahead. Again, these catastrophic or fraudulent occurrences are something one cannot read on a balance sheet nor income report but the reality is that every company, no matter the size or industry, can face serious headwinds after such events. With regard to your GE position I happened to hold onto my shares through the dividend cut and was able to add more to my holdings at depressed prices. Yes, I could have shuffled money around as you did and walk out ahead with some other stock but I simply chose to stay the course for better or worse with GE. It turns out that simply holding and adding worked out OK as well. Thank you for sharing your experience and commenting. Thanks for the well prepared article. I don’t know if I have an iron stomach or am just incredibly naive, but I am pretty quick to throw additional dollars at a stock if it has bad news come out against it. Going forward, I hope that my blog will help to validate my moves a little bit more and will help to hold myself more accountable. I wish I would have had the foresight to buy BP a bunch of years back, though. Take care. With any investment you have to ultimately be comfortable with your holdings and foremost be able to sleep well at night. Simply throwing money and taking a contrarian view for many of the stocks that are facing serious issues is not always a wise choice. Look at what happened to Enron or Worldcom. Those stocks were facing serious account irregularity and fraud issues and ultimately never rebounded. Of course, hindsight is always 20/20 and all too often we find ourselves saying, “I should have bought that XYZ at those low prices when I had the chance.” Look at what happened to ARCP in recent days. The stock dropped about 30% in a few days because of an accounting irregularity. Many of the dividend bloggers are continuing to hold on to those shares and some even bought more hoping that down the road the stock will rebound nicely. Thanks for commenting. I think it depends on what the catastrophe is and how much of it is a result of management ineptitude/negligence. I bought shares of BP the last couple of years. I think the bad news from the Gulf oil spill is in the stock price, and I hope that the company has more effective processes in place to prevent another spill in the future. I sold ARCP, on the other hand, after the accounting irregularities were announced. Management (or at least a couple of very high level executives) not only knew of the errors but tried to cover them up. That gets into a type of criminal conduct that I want no part of. Lucky for me, I invested the proceeds into Visa which is up 17% since then. Since I have worked my entire adult life in either the automotive or medical devices industries, I know that things happen that even very capable people do not see coming. If we only knew what the company insiders knew before things went bad, we could accurately judge whether or not such events are opportunities to invest at discounted prices, or just the beginning of the end for a mismanaged company. Thanks for sharing your insight regarding this topic. I agree that the BP oil spill and all the mess that it has created is already well baked into the stock price. Even though criminal charges were filed against the corporation because of their negligence it is almost impossible to determine that anything like this could have potentially occurred unless you are an insider and can actually observe day to day operations and witness unsafe practices. Happy to hear the ARCP sale worked out well for you too. V seems like a more stable and reliable company relative to ARCP. As you mentioned, when a coverup and known irregularities are hidden from the public, criminal action has occurred and as such gives you some insight as to the people who are running this company. I guess the pressure placed on every public company to show strong quarterly numbers is so immense that creative accounting practices are sometimes utilized. Thank you for commenting. I would say BP and ARCP are different. ARCP is not investment grade. BP has a much stronger financially than ARCP. S&P gives them a A credit rating which is very high. BP produces a commodity that is needed by the modern world and they have a large moat. Your comment does have some truth as to the differences between BP and ARCP. Some might say that Lehman Brothers, a multibillion dollar investment bank did not have the same clout as a smaller company that actually owned assets such as real estate, factories, machinery or other tangible goods. While ARCP does own some prime real estate I do see your point in the matter when comparing to BP and large moat companies. Thank you for stopping by and commenting. Hard to paint anything in investing with a broad brush. All depends on the situation. Not every catastrophe is the same, and some are easier holes to dig out of. BP, for instance, can swallow the whole $18 billion fine and then some, if it comes to that. ARCP, on the other hand, could be in serious trouble if their cost of capital shoots up too high due to a credit downgrade and issues with banks. Also depends on your risk tolerance and overall portfolio diversification. Someone with $200k or $300k invested in a whole handful of great stocks can afford to take a bet on something, whereas someone just starting out with $20k or $50k probably cannot or shouldn’t. I fully concur with your statement that you can’t paint anything in the investment world with a broad brush. Every situation is different and must be examined individually. Similarly to the question I brought up a few weeks back discussing the of selling of a dividend stock after a dividend cut has been announced. As I wrote to ILG, it largely depends on the coffers a company has to deal with any lawsuits, cleanup or other mitigation. Clearly, BP has a huge war chest to dip into to deal with much of the cost associated with the spill. Again, it’s all about personal risk and how comfortable a person is in investing with a company that just suffered a major public relations gaffe. Thank you for commenting. Dividend Mantra hits the nail squarely on the head. It depends on the situation and one’s risk tolerance. Yes, it’s certainly a good strategy to take advantage when a stock’s price gets beaten down due to an unforeseen event that scares off investors. But when the event is something that cost lives or causes severe harm, then I would think twice about it, as I would be profiting from a tragic situation. Good examples of when a stock price takes a hit over a relatively minor issue is Intel’s Pentium math flaw and the first Tesla Model S fire. Customers and smart investors are usually forgiving of honest technical problems, as they are fixable and most companies can easily recover from them. You bring up many good points in your comment. In general, the public is pretty forgiving when a problem is an honest technical flaw but less so when known negligence or known accounting cover ups done. Still, as with the TGT credit card snafu or other similar situations, the general public is quick to forget once a company offers great deals to win them back. History definitely shows that, in general, investing after a company has suffered a major catastrophe, it is wise to buy into the stock. Thank you for stopping by and commenting. Great article DivHut…you covered the topic well! My personal thought is not every catastrophic stock event is the same. Depending on the history of the company, the accuracy of the news reported, the ability of the company to whether the storm and bounce back, I think some catastrophic events can be great buying opportunity while some are simply a good wake up call. Regardless, each investor will likely react differently based on their own risk tolerance. I’m glad you enjoyed this article. It’s true that every situation must be looked at individually depending on the catastrophe and the ability of the company in question to absorb the ensuing fallout. In general though, most companies seem to bounce back from many different types of catastrophic events, however as you mention, an investor must decide their own risk tolerance before buying into such a stock. Makes you think. Thank you for stopping by and commenting. Usually for companies like BP dealing with oil spill and things like that, im pretty sure they did due diligence to accrue the probability they hv to pay for the claims, just not to such an extent this time round. It’s clear the blue chip type companies with real assets and a huge war chest are best suited to weather any potential storm after a catastrophic event. BP was such a behemoth and appears to see the light at the end of its litigation tunnel. I think you make a good point that as long as fundamentals stay the same you are looking at a broken stock more than a broken company and it might be wise to buy. Thank you for commenting. It depends on the nature of the issue. I’m much more willing to forgive a company for recalling a product (for example), rather than something like fraud. CAG, JACK, those are food issues. BP was tough, but the fundamental structure of the company hadn’t changed much; the costs were the issue. But the ones that failed all committed some sort of fraud: Enron, Worldcom, Bre-X. It’s a different class. Something is inherently wrong with the structure of the company, and really can’t be “glossed over” like a recall. I view ARCP as the latter, which is why I sold. It sure seems that fraud and accounting irregularities bring a company down more often than negligence, environmental disasters, sickness and death. I understand your reasoning for selling ARCP. I think many are thinking like you and have been very let down by management when this irregularity surfaced. I always go by notion of trying to determine whether after a catastrophe are we looking at a broken stock or a broken company. If it’s the former, it may be a good time to buy, if the latter, then I wouldn’t touch. Thank you for sharing your thoughts and commenting. I think it largely depends on what sort of event occurred and its likelihood of reoccurring, along with managements response to the event. Was the event something that was at least partially prepared for? Ex. BP’s spill was extremely bad, but at least they had some form of contingency planning for it and a mountain of cash to cover themselves. A Canadian company called Maple Leaf Foods has a similar E.Coli outbreak. Even though some people did get sick management handled it very well through use of the media, enforcing stricter health codes etc and the event got turned around as a positive PR campaign for them. I think the differences between the spill/e.coli and the ARCP sort of events involving fraud is that the first two occur from operational hazards(stuff happens), whereas fraud/accounting irregularities is something that is usually done intentionally or at least negligently within management and is a more serious problem that affect shareholder confidence. As many of the comments indicate, the answer to the question is “it depends.” Of course, every company and every catastrophe is different as to the severity as well as the ability of the company in question to absorb all the negative fallout from the occurrence. From the examples given in the post to some given in the comments it largely seems that large blue chip type companies do eventually recover quite nicely after such events occur. It’s usually when fraud occurs that companies seem to die out. Thank you for commenting. In the example of BP you cannot only think about the money you will make. It is your money and you have to think about how it is spent. Are you comfortable with facilitating such companies with such records by investing in them? Apart from these issues you need to think what sort of an investor you are. Most people buy stocks that are going up rather than going down. Carla recently posted…Is Investing in Classic Cars a Good Idea? You bring up a valid point regarding the ethics of investing such types of companies that have known safety issues however, in many circumstances genuine accidents occur that are not necessarily the result of outright disregard for safety. BP was one of the more extreme examples in recent history that resulted in death and a huge environmental impact and sometimes buying stocks on the way down is an excellent way to average your position to a lower overall cost and simply wait for the smoke to clear and ride the stock back up. For what it’s worth you can always take the profit you make in owning BP stock and donate to any number of environmental groups to assist in clean up efforts. Thank you for taking the time to comment. Yes and no.I don’t think we can make a general statement on that. I learn a lot from my investments and it is really important to understand the consequence of the bad news and/or the reason for the dividend cut. Market is emotional and bad publicity will bring stock down same a a bad semester, except that a bad news maybe simply a serie of events or a single event. If the stock is falling down due to dividend cut because the company was not making enough money to sustain it, then I sell and will not buy (ATP, AGNC). However, if the company is still making money but decide to cut the dividend to increase the cash flow (to put money on the side for lawsuit or expansion) then it is interesting (CHR.B, EXE). My decision to buy or sell the stock will be mainly based on stock analysis. Is the buy/sell criterias are good? yes or no. A basic rule, I never buy a stock that the dividend was reduced twice during the last 5 years. Thanks for sharing your thoughts on this topic. One thing that is clear is that every situation is different and it varies widely from company to company and catastrophe to catastrophe. While it’s true that market emotion can often wreck a stock price you must always ask yourself the question to see if you are dealing with simply a broken stock (market overreacts) or are you dealing with a broken company. Usually, after a disaster you are dealing with a broken stock and with a dividend cut or other accounting irregularity you are dealing with a broken company in which case it is probably wise to stay away. Thank you for commenting. Situations such as those listed above always catch my attention. I initiated positions in both MCD and YUM and added to them as prices continued falling over the meat supplier scandal. My question is simple: Do I believe these companies will be selling more of their products twenty years from now than they are today? By answering that, I am able to confidently move forward and take advantage of special situations. That said, I passed on BP because I simply did not know how deep the rabbit hole would go. When I can’t quantify or really wrap my head around the full extent of a crisis, I put my hard-earned dollars elsewhere. Thank you for sharing your personal thoughts and account on investing in a company that has just experienced a catastrophe. I have to admit that your thought process is similar to mine when it comes to these situations. As I mentioned in other comments you have to ask yourself if you are dealing with a broken stock or a broken company. Usually, the situation creates a broken stock where buying opportunities arise. In the case of MCD or YUM, as you pointed out, as long as you believe that more of their product will be sold in the coming years or decades then it makes sense to jump in at depressed prices. Now, if the catastrophe is a result of or results in a broken company, then at no point would it make sense to jump in and buy that stock. Thank you for stopping by and commenting. It comes down to what the event is, the investor’s feeling as to whether it is a short term blip or major long term impact, and the investor’s risk tolerance. So, it is quite subjective to each investor at the time of catastrophe. Me personally, I’m steering clear of any instances of accounting irregularities, as that hits to the core of trust in the reported numbers, and can snowball quickly. For other issues, though, I believe most “catastrophes” turn out to be hyperbole to attract viewers/clicks, and can bring about great buying opportunities. For the most part I agree with you. Most catastrophic events typically pass after several months to a year or so and things usually go back to business as usual. People tend to have very short term memories. I immediately thought if this post when the WFC scandal broke last year and wondered if we’d be seeing a rash of selling. It didn’t really happen. I know I kept my shares. CMG is another name still dealing with their food issues which happened well over a year ago so it’s tough to tell when a rebound will occur though if a brand is strong enough I think it can overcome pretty harsh events. Thank you for sharing your thoughts. It worked for me when I picked up APPLE at $93. Great job. You ignored all the negative financial headlines and talking heads and went with what you believed to be a near term price drop and took advantage. It can be tough buying when others are selling or “crapping” all over a stock but that’s usually the best time to buy. Thank you for stopping by and commenting.